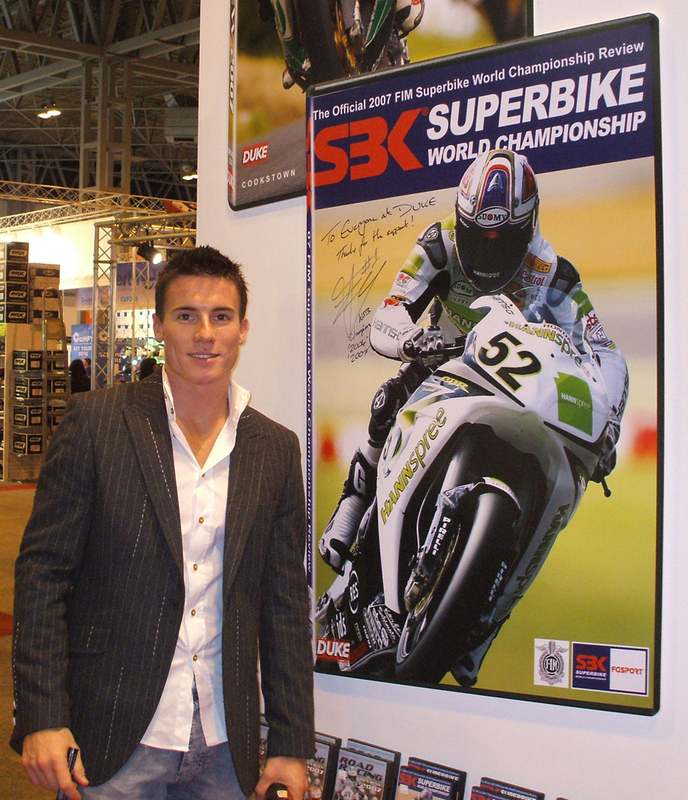 Secure your very own highly-collectable World Superbike Championship 2007 DVD Review autographed by two-times World Champion James Toseland. The Brit has gained thousands of fans around the globe with his superbike success, including taking the '07 crown in dramatic style. In late 2011, aged just 30, Toseland announced his retirement from racing due to injury. This hand-signed Official Review of the 2007 World Superbike Championship is a genuine piece of motorsport memorabilia, and must for all fans of JT. The review includes comprehensive coverage of all 13 rounds of the championship, putting you at the heart of the action. Multiple camera angles, on-board footage and revealing interviews ensure you don't miss any of the vital moments as the drama unfolds. Travel the world, visiting the most prestigious circuits, and join the finest superbike riders on Earth as they battle for the ultimate prize. Toseland, riding the Hannspree Ten Kate Honda CBR1000RR, was determined to secure his second World Championship title, and it was looking good for the young British rider in the early season as built up a healthy points lead. But things change quickly in the fast and furious World Superbike Championship, and JT soon found himself under pressure from the hard charging Noriyuki Haga and World Superbike newcomer Max Biaggi. Toseland put his title challenge back on track on home ground at Brands Hatch, delighting more than 120,000 fans with double victory, but the championship battle would go right down to the wire. Yamaha YZF-R1-mounted Haga and Biaggi, on his Suzuki GSX-R1000 K7, kept the pressure on right down to the very last race, with the destination of the title only being settled on the very last lap of the season. Passes, crashes, elbow-to-elbow racing and nail-biting drama - The Official FIM Superbike World Championship Review has it all!